At PrimeStaff, our brand DNA is our passion for people. We believe that our service speaks for itself. 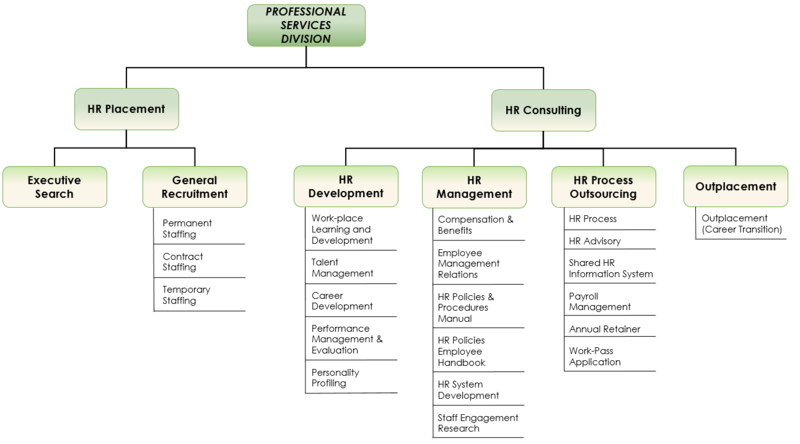 PrimeStaff is Singapore’s only full-fledged HR Consultancy with high credentials, engaged in the full range of HR solutions. PrimeStaff’s sole objective is to provide quality services in recruitment and human resource management and development. We are experts across a wide range of specialised functions and industries and we strive to create a positive and lasting impact that yields mutual trust and support that benefit both the candidates and clients we work with. Our team is made up of like-minded professionals with functional and industry experiences, who possess the right business focus to assist clients achieve key HR objectives. PrimeStaff offers recruitment services and customised outsourcing solutions to all levels, departments and specifications across most industries and countries. Please call us at (65) 6222 3310 or email us at enquiry@primestaff.com.sg to find out how we can assist you in your recruitment and customised outsourcing solutions requirements.